Today heralds the start of a new year according to the Chinese zodiac, so gong xi fa cai (happy new year) to you! The Chinese calendar works to a twelve-year cycle, with each year related to an animal sign. As with astrology, it’s believed that the year you’re born in has bearing on your personality and attributes. (A simple online search can help you determine which animal you are.) 2015 is the year of the sheep – also known to the Chinese as the year of the goat – but for us (and clearly, there’s more than a little self-interest at play! ), the sheep will do us just fine. In honour of all things woolly (and yarny) and in the spirit of animal themes, we thought we’d feature some knitted or crocheted small animals. The Japanese have a word for it, amigurumi, with cuteness the most important characteristic. The directory Great Amigurumi has links to free patterns, including some for Hello Kitty dolls. You’ve been warned! 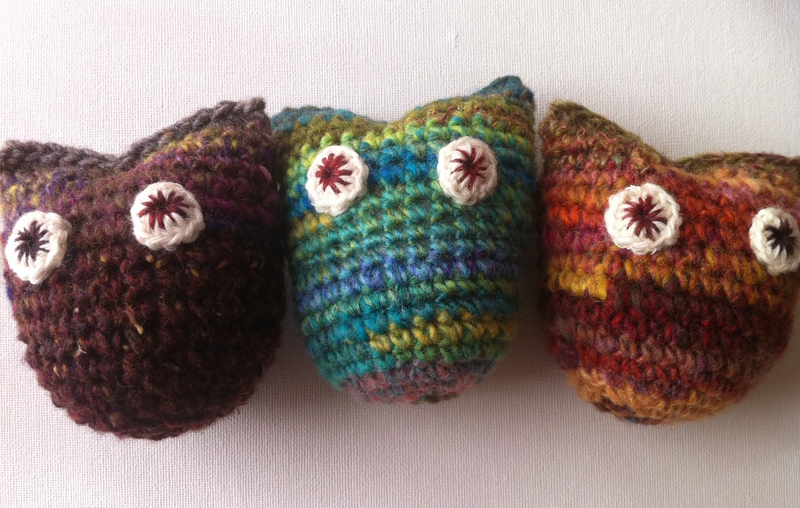 These owls below take their inspiration from amigurumi, and are crocheted from Noro Kureyon and Silk Garden leftovers. Small items such as these are really popular with younger kids at craft stalls and school fetes, and there are heaps of owl patterns floating around the Net and on Ravelry to inspire you. If you prefer marine life, how about this Crochet Seahorse by Jessica Polka? The pattern is free, and you can make your seahorse some friends from Jessica Polka’s 75 Fish, Shells, Coral & Marine Creatures to Knit & Crochet. We have a few copies of the book in-store. 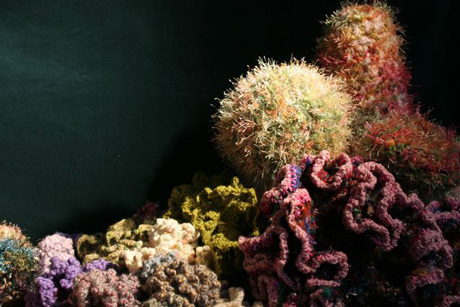 You never know, you may be inspired, like Christine Wertheim and Margaret Wertheim, to create a whole Crochet Coral Reef, their tribute to marine wonders of the Great Barrier Reef. If knitting’s more your speed, perhaps have a look at Ysolda Teague’s Smith from Whimsical Little Whimsical Little Knits 2. Milo Armadillo is the star of Jan Fearnley’s picture book for the little ones, and comes with a pattern at the back so you can make your own Milo to cuddle. 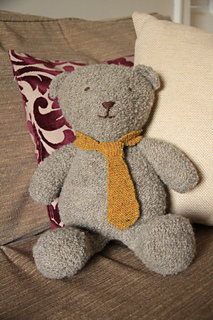 We all know that former Prime Minister Julia Gillard knits, and made a baby kangaroo for Kate and Will’s baby. If Australian marsupials and birds are your thing, check out the menagerie in Cleckheaton’s Aussie Animals. We have the books in-store. 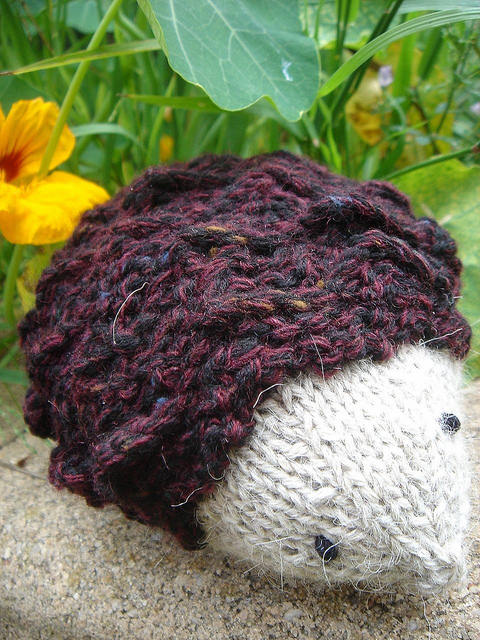 This fantastic little foxy friend comes from Jem Weston’s book Cute Little Knits. If you prefer a bear, how about Matthew? Categories: Crochet, Knitting | Permalink.